I love anything denim so when I saw this pocket shaped bag from Lori's shop I knew it was going to be my next project! You can get this bag also from the Silhouette Design Store here. 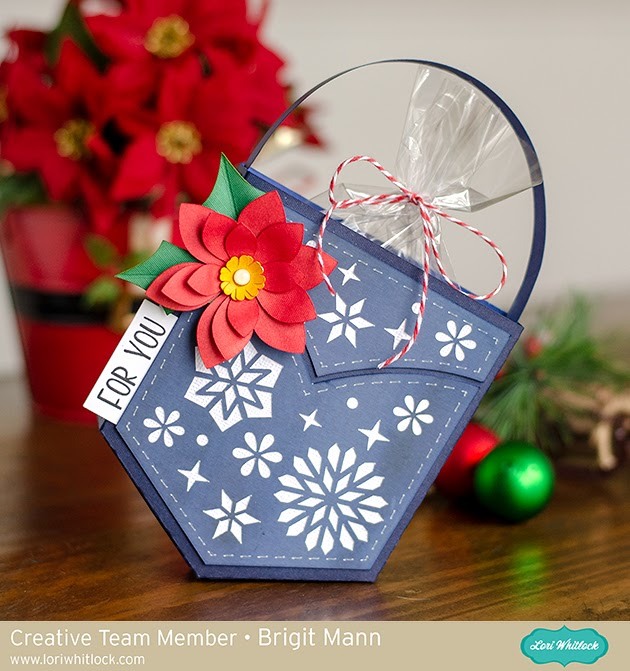 I wanted to add snowflakes so I used the ones from the Christmas snowflake border edge card, I just did a release compound path took the shapes and added them to the layer and did a make compound path and then I did a duplicate solid layer to cut out in white. You can get that card here in the Silhouette Design Store. 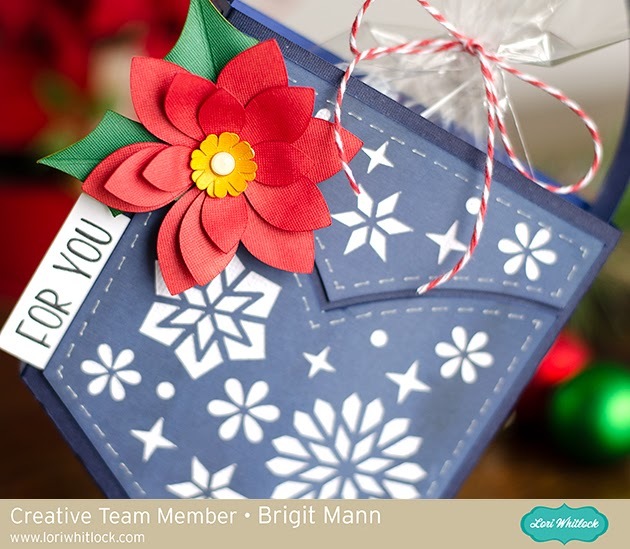 I also added the 3D poinsettia, you can get that here at the Silhouette Design Store. The stitching came out awesome, I love it!